The best, most unhealthy dessert ever! 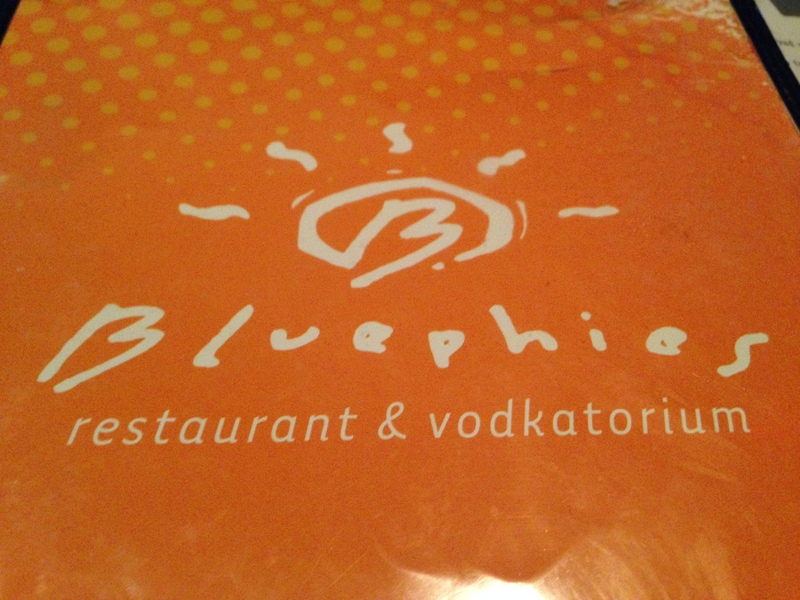 I have been to Bluephies multiple times and every time I have been too full to even think about ordering dessert. So when the opportunity presented itself to go there specifically for dessert I happily took it because of their well-known chocolate chip cookie dough egg rolls. They sound a little gross but are basically chunks of cookie dough rolled in wonton wrappers and deep fried. You get two in an order and they top it with vanilla custard and chocolate sauce. It was the most amazing and yet guilt-ensuing dessert I’ve ever had. The cookie dough was hot, melty and chocolatey. The wontons were perfectly crispy and added a good balance to the super sweet cookie dough, and the custard was another great addition. It is such a genius idea! On the flip side I definitely regretted eating it when I was done. The entire bowl is probably three days worth of calories and should not be eaten on a regular, or even semi-regular basis. I probably won’t go back for them at least for the next five years…I will leave them for a special occasion! 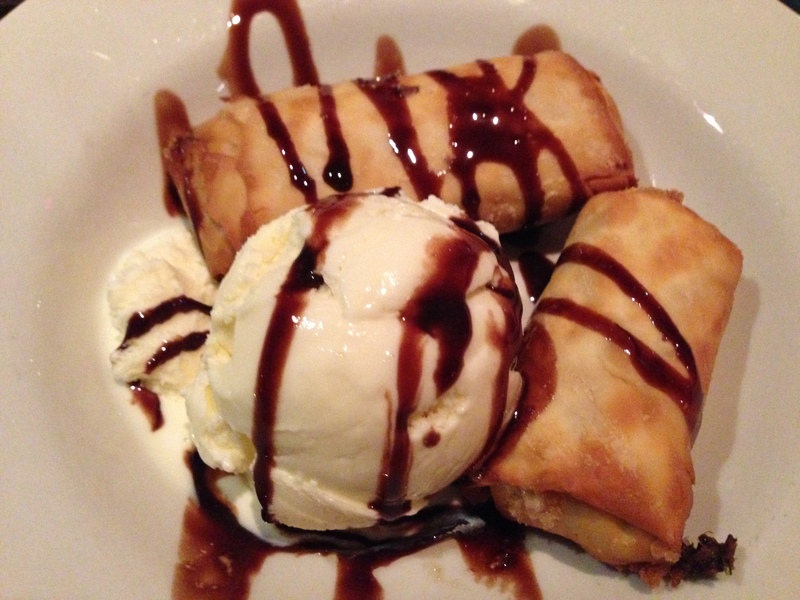 FOODNOTES: The $6.29 chocolate chip cookie dough egg rolls at Bluephies are fantastic and amazing and ridiculously good, but should be consumed rarely and with caution!